Christie Golden has authored books for Star Wars, Star Trek, Warcraft, and Starcraft. Golden also writes original works, such as her Final Dance series, in addition to expanding the worlds of already established entertainment properties. Golden has written Star Wars books in both the Legends and canon timelines. For Legends, Golden wrote three books in the Fate of the Jedi series: Omen, Allies, and Ascension. Her canon works include Dark Disciple (a Clone Wars era novel featuring former Sith apprentice Asajj Ventress and Jedi Knight Quinlan Vos) and Battlefront II: Inferno Squad (a prequel to the Battlefront II video game). Golden has also written several Star Wars short stories including “The Bucket” which was a part of the From a Certain Point of View anthology. 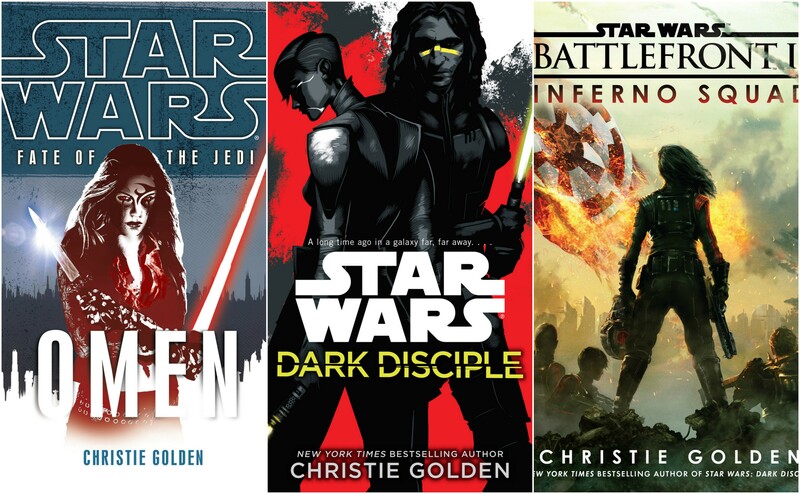 Find out more about Christie Golden in this interview where she talks about Dark Disciple or on her writer’s website.